3.89/5 - 19 reviews. Vote here! Along the coast road N340 just outside Fuengirola towards Marbella you find El Chaparal. a golf course that requires some consideration. Here you will find no park-like holes but a mix of mountains, valleys and woods. 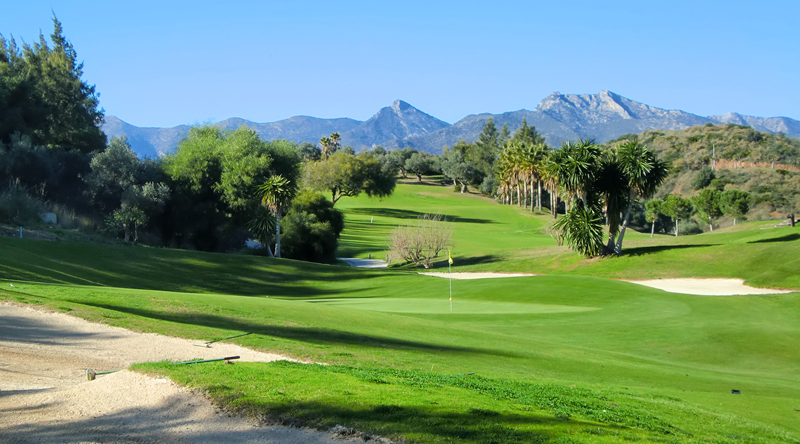 Personally, I think it is one of the more difficult golf courses on the Costa del Sol, and walking this golf course will probably kill you if you do not have great fitness. 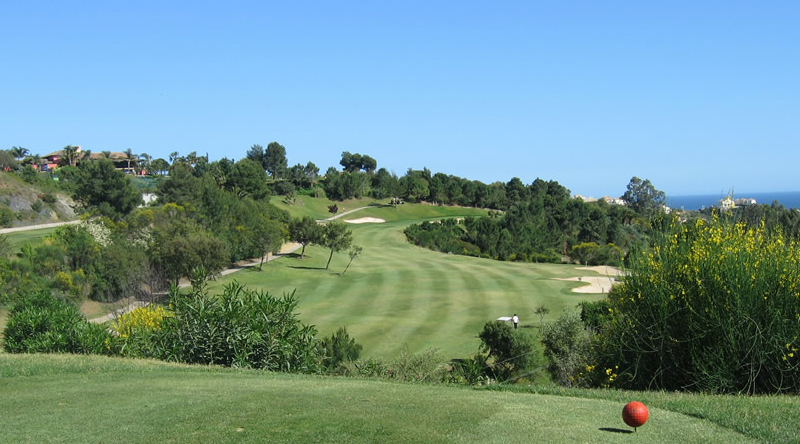 Already on hole 1, you understood that this is a tough golf course, a driver has only 20m lateral to land on so it can be a good idea to hit a spoon straight. 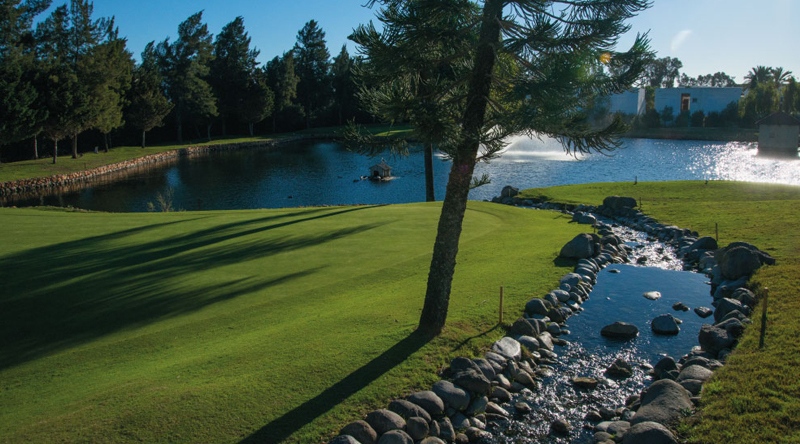 The green leans back strongly towards the fairway, so a short green hit is preferable. On hole no. 10 tee is high above green, a hit over a road and the little green is embedded among tall trees. Hcp 12, but it's not easy anyway. 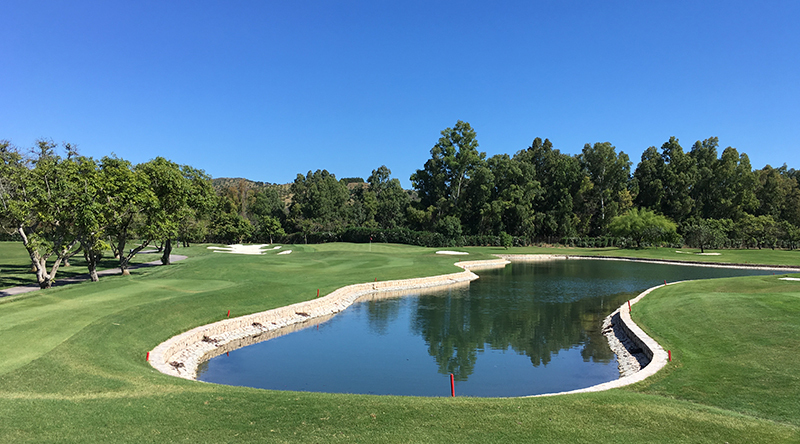 You finish the golf round with a pair of 3 over a ravine and a narrow oblong green. My recommendation, keep to the left, the ball rolls down to the green, if to the right a big bunker and if it´s do not stop in the bunk, you're gone. Course nature, Difficult, High, Hilly, Narrow, Undulated.